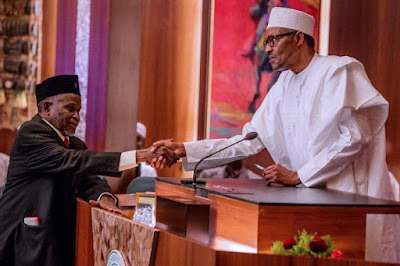 The acting Chief Justice of Nigeria, Justice Tanko Muhammad, has claimed that President Buhari does not need the permission of the National Judicial Council to appoint him as the acting CJN. Tanko made the claim in response to a query given to him by NJC, the body constitutionally empowered to recommend the appointment of chief justices and heads of courts. In his response, however, Justice Tanko said the NJC ought to be consulted only when a substantive CJN is being appointed or re-appointed. Tanko noted that Justice Walter Onnoghen remained the substantive CJN, adding that the latter was only suspended. 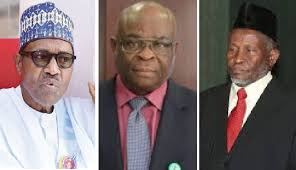 The acting CJN said if the Appeal Court or the CCT reversed Onnoghen’s suspension, he would step aside and return to his former position as a justice of the Supreme Court. 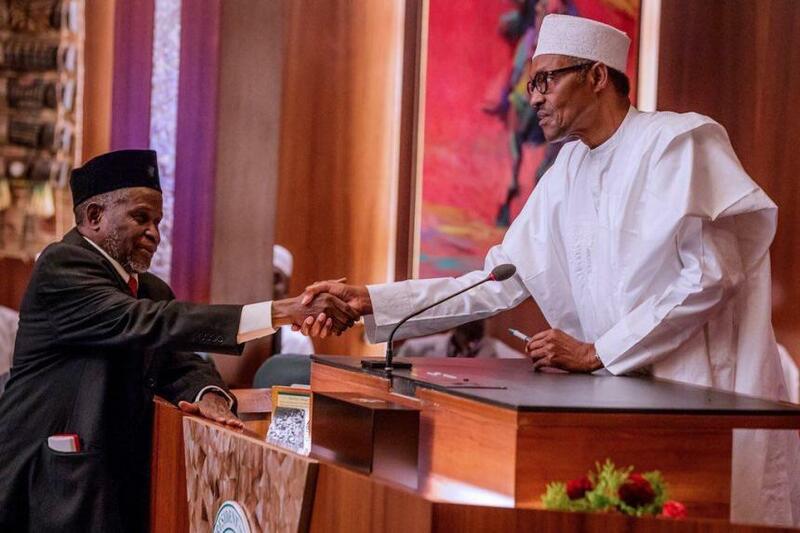 Recalling how he was sworn in by the President, Tanko said he was summoned to the Presidential Villa by Buhari and shown the certified true copy of a motion ex parte granted by the CCT and signed by its Chairman, Danladi Umar. Tanko admitted that he was a member of the NJC panel that removed Justice Obisike Orji of the Abia State High Court for accepting to be sworn in as chief judge by the Abia State Government without a recommendation of the NJC. Tanko further stated that the substantive head of the judiciary had been suspended by a valid court order which made it right for him to take over in acting capacity. The acting CJN therefore appealed to the NJC to dismiss the petition written against him.